Work-related injuries and occupational diseases are common in many industries. However, public safety employees often face situations and conditions daily that can result in a workplace injury or occupational illness. The Workers’ Compensation Code provides specific considerations for public safety employees. These specific considerations include special legal presumptions and higher rates for benefits. If you are a public safety employee injured in the line of duty, contact the Pinder Plotkin Legal Team to discuss your legal rights for obtaining workers’ compensation benefits. Who Are Public Safety Employees in Maryland? As mentioned above, the workers’ compensation laws in Maryland contain several favorable provisions for public safety employees. To determine if you are entitled to special provisions if you suffer a covered occupational illness, the first step is to verify that you are considered a public safety employee under Maryland’s Workers’ Compensation Code. Firefighters, paramedics, and firefighting instructors employed by a county, fire control district, the State, a municipal corporation, or the State Airport Authority. Volunteer firefighters and volunteer rescue, ambulance, or advanced life support workers who are covered under Section 9-234 of the code who provide services for a county, fire control district, the State, a municipal corporation, or the State Airport Authority. Police officers employed by the State, a municipal corporation, the State Airport Authority, a county, the Washington Metropolitan Area Transit Authority, or the Maryland-National Capital Park and Planning Commission. An Allegany County deputy sheriff. A Baltimore County deputy sheriff when the injury arises out of certain circumstances. A Prince George’s County deputy sheriff or correctional officer. A Howard County deputy sheriff. A Montgomery County deputy sheriff or correctional officer. An Anne Arundel County deputy sheriff or detention officer. Section 9-503 of the MD Lab & Emp Code lists the public safety employees who are entitled to legal presumptions for occupational illnesses. The public safety employees listed in §9-503 are similar to the definition of public safety employee in §9-628. However, the code sections are not identical. It is important to consult with a Maryland workers’ compensation attorney for public safety employees to ensure that you are entitled to the presumptions for occupational illnesses outlined in §9-503. Two of the important provisions for public safety employees is the presumption of occupational illnesses and increased compensation levels. If certain public safety employees suffer from hypertension (high blood pressure), heart disease, lung disease, some forms of cancer, or Lyme disease, it is assumed that the condition is an occupational illness. Therefore, it is up to the employer or the workers’ compensation insurance carrier to prove that the employee’s job conditions did not cause the condition. The presumption can make it easier to receive workers’ comp benefits, but it is not a guarantee. In addition to the presumptions of law, some public safety employees receive higher levels of compensation for disabilities compared to civilian employees. Because some disability claims for public safety employees are calculated on a higher tier than civilian employees, a public safety employee may receive approximately double the compensation for the same or a similar injury. It is important as a public safety employee to seek medical treatment and file a workers’ comp claim if you are diagnosed with heart disease, high blood pressure, certain cancers, or Lyme disease (for certain employees). 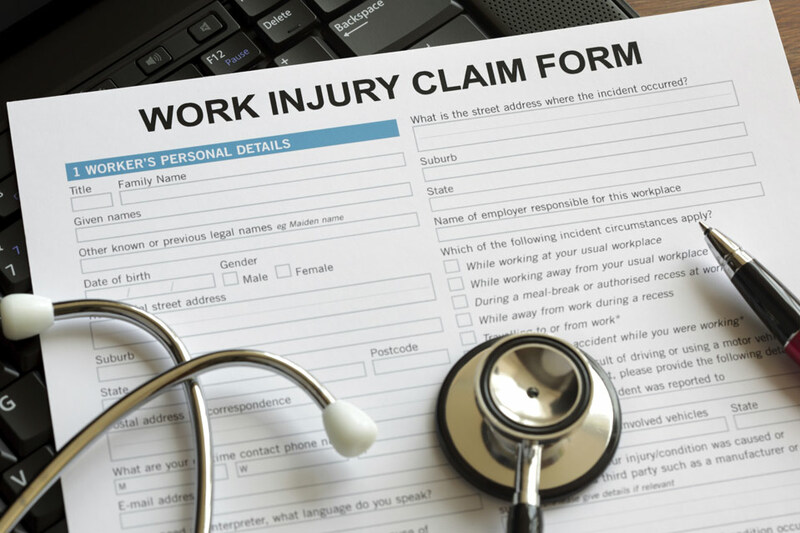 A Maryland workers’ compensation attorney can review the facts in the case to determine if the public safety employee meets the requirements for the special considerations given to them for certain workers’ comp claims. Some workers’ comp claims filed by public safety employees are straightforward. However, employers and workers’ compensation insurance companies may try to fight a claim filed under the presumption statute. An attorney can help you file your claim and fight for all workers’ comp benefits you are entitled to receive as a public safety employee. If you suffer from heart disease, high blood pressure, or cancer, call our office now to speak with a Maryland workers’ comp lawyer. Contact Pinder Plotkin LLC at 410-661-9440 to schedule your free consultation with a Parkville workers’ compensation lawyer.